"James is the consummate professional and has represented our business quite well. Excellent at cultivating business relationships and managing the complexities of bringing a new business to market. Beyond the scope of his role he brought insight and discipline to understanding customer needs and translating them to functional requirements for our solutions. Great team player working across various functions to get the job done, while also acting as a thought leader on the team"
Dennis Row, General Partner, Endeavour Capital Ltd.
"James was able to leverage his experience to deliver great results at a reasonable cost. His knowledge of the consumer device business is exceptional. He has seen a lot of products, knows what would and won't work and has the contacts to get valuable input from subject matter experts to validate ideas and approaches. He was able to set up key meetings, participate in those meetings while presenting our company's value and get honest, unfiltered feedback from those involved in the meetings. On top of delivering great value, James has a great sense of humor and a strong set of ethics. I highly recommend him." 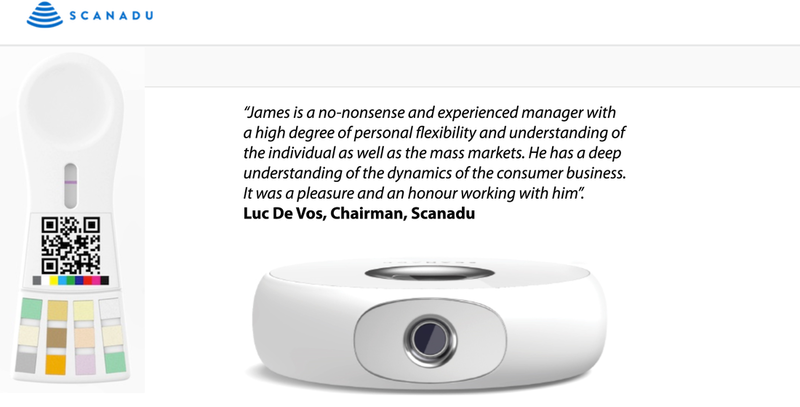 Mark Creamer, President and CEO, Intuitive Input, Inc.
"James is simply one of the finest people I have had the pleasure to work with. Professionally, he has a broad interdisciplinary knowledge of product development, management, business development, marketing, industrial design, and manufacturing. Personally, he is extremely professional, kind, wonderful to interact with, and helps foster a sense of community that is uncommonly capable of bringing a group of folks from varied backgrounds together." "The Stanford Group was the major contributor to our new successful strategy. James is a great partner and leader, true adviser that ready to work as much as needed to address the company goals and objectives and more. " "The Stanford Group has helped us multiple times. Their deep experience with tier 1 PC OEMs & ODMs has been very helpful in building a very pragmatic business case for our investors."